How can I outsource a job to a supplier? LSP.expert allows you to easily outsource jobs to suppliers. You can find your list of suppliers under 'People' > 'Suppliers'. To add a supplier, click on 'Add a supplier'. 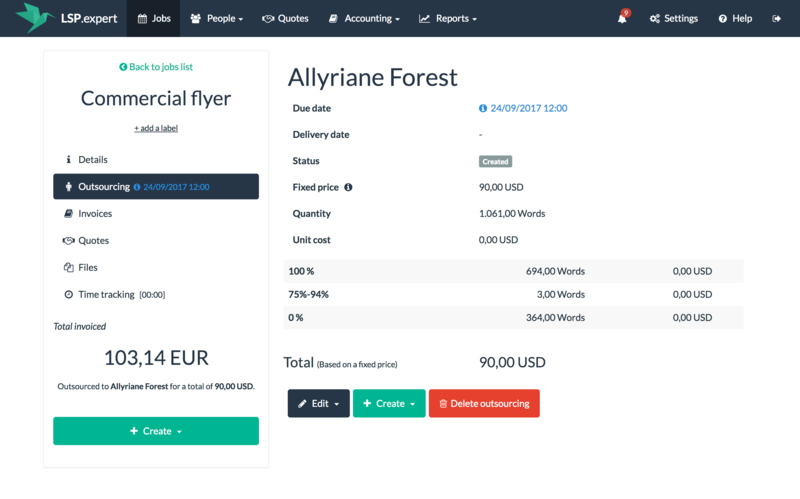 You can also add a new supplier directly in a job (in the 'Outsourcing' tab). To outsource a job to a supplier, click in the job on the 'Outsourcing' tab (in the menu on the left). 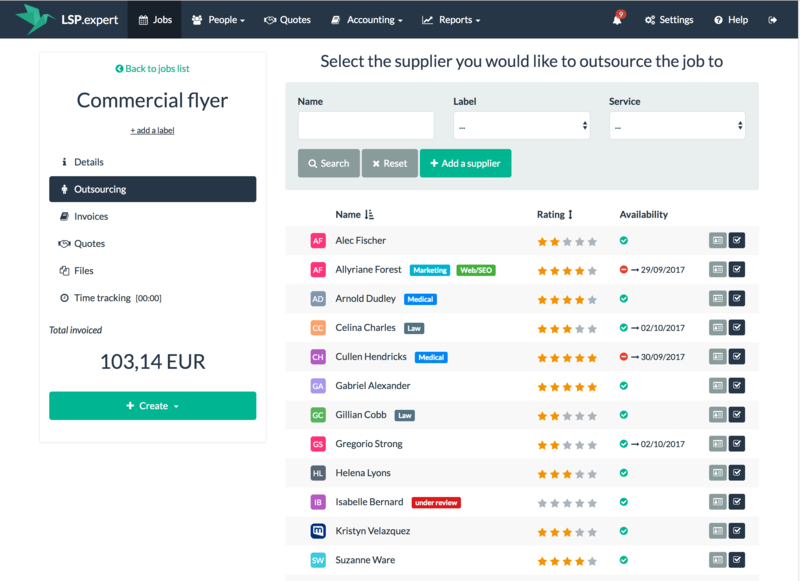 The system gives you a list of all the suppliers you have for the service defined (the filter by default is on the service, but you can of course change it). 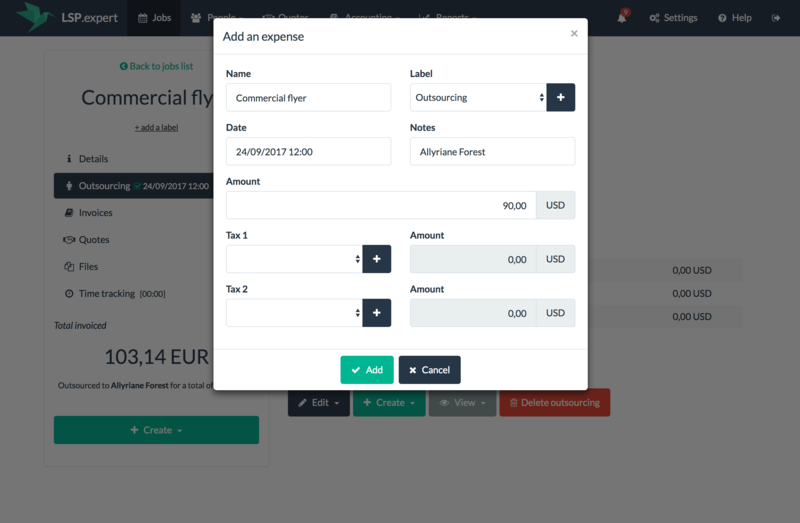 If there isn't any suppliers for this service, you can add a new one using the 'Add a supplier' button. 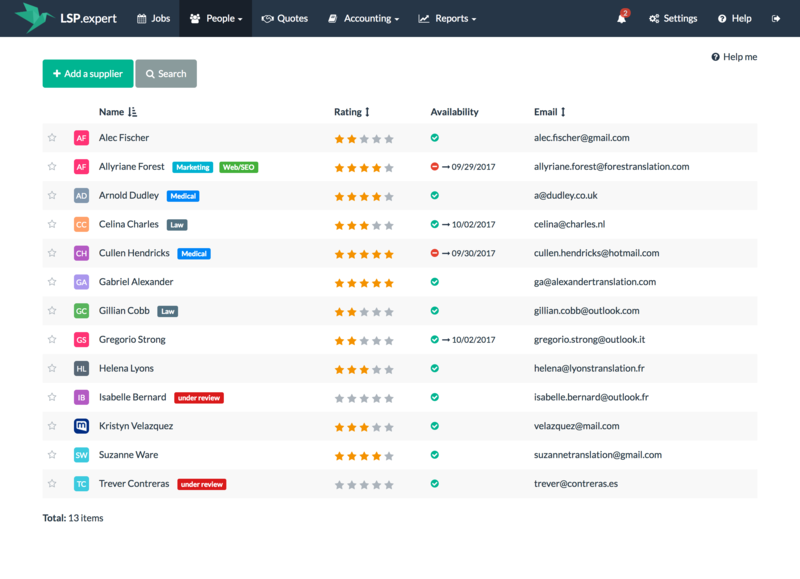 To find the right supplier for the job, you can check the availability of the suppliers and their rating (to manage the availability and the rating of a supplier, go in the supplier's details and use the menu on the left) . Select the supplier of your choice in the list and click on the 'V' icon on the right. You then arrive in the details of the outsourcing for this job. 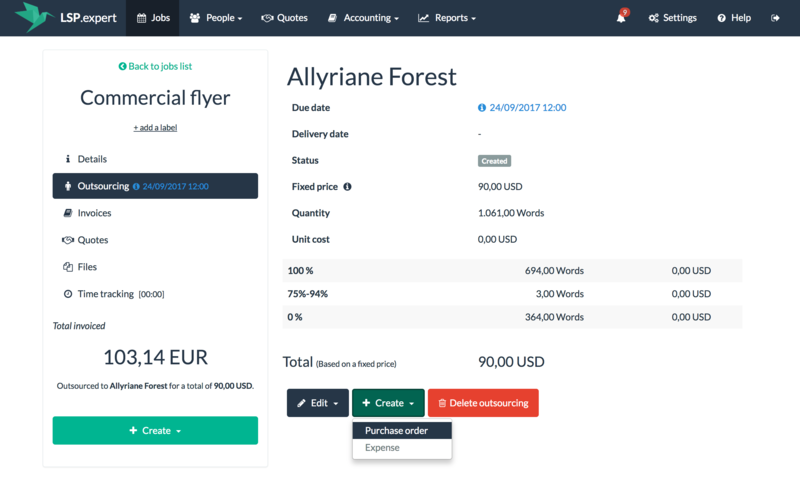 Here, you can edit the details of the outsourcing, the matches, the price, the status and the due date (when the supplier will send you the files back). 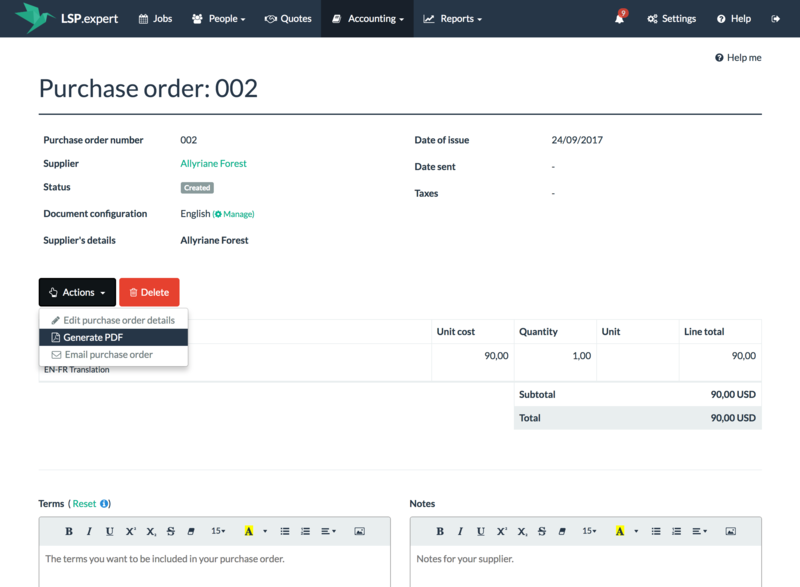 To create a purchase order for the supplier (if he/she needs one), click on 'Create' > 'A purchase order'. When the supplier sends you the files back, you can change the status of the outsourcing to 'Finished'. The system will then ask you if you would like to create an expense for this outsourcing. Creating an expense for each outsourcing helps you to get a clear view of your profit and loss in the reports.